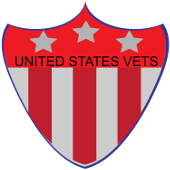 Sponsorship & Advertising - US Vets Inc.
Our mission is to meet the needs of veterans and their families. We couldn’t do that without generous folks like you, our sponsors and our advertisers. If you would like to support us in that mission as an advertiser, or sponsor an upcoming event, program or fundraiser, please contact Leslie at lclouden7@gmail.com. Please make it a point to support the organizations you see represented on this site as they support us in meeting the needs of our U.S. veterans and their families.